Virtualised or in the cloud? Dell has updated its network portfolio with new software tool and a switching platform to support the development of converged, virtualised and private cloud environments. 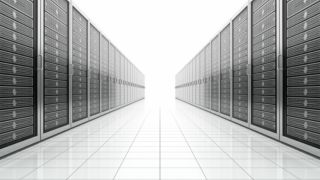 It says they are aimed at supporting a move to virtualised and cloud data centres, backed by software defined networking. The Dell Active Fabric Manager software automates the tasks involved in planning, designing, building and monitoring the fabric – the connections of nodes and links - of a network. Its features include a design wizard with a graphical interface; automated provisioning, validation and configuration to save time and reduce errors; integration for other tools in a data centre; and role based access for different departments to monitor different aspects of the fabric. Dell has accompanied this with the introduction of the Dell Networking S5000, its first 1U 10/40GbE switch for local and storage area networks. It accommodates four modules that can be bought one at a time, allowing a company to scale up rather than make the investment in one go. It also comes with high density LAN/SAN convergence, which saves on the number of switches and rack space required, and support for several features for storage networking including Fibre Channel over Ethernet and compliance with iSCSI standards. Tom Burns, Vice President and General Manager of Dell Networking, said: 'We're challenging conventional wisdom with new products and solutions designed to accelerate our customers' migration to virtualised and cloud data centre environments."